Juan Mata starts against his former club for Manchester United against a Chelsea side that includes Alvaro Morata in attack at Stamford Bridge on Saturday. 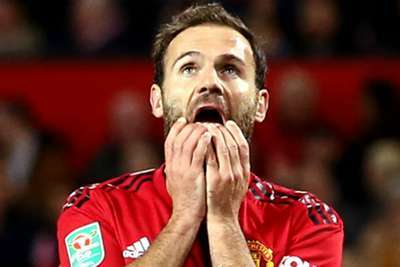 Midfielder Mata is selected in a visiting line-up that sees Chris Smalling and Victor Lindelof at the heart of the defence for the crunch Premier League fixture. Anthony Martial is also included in the XI, along with fellow forwards Marcus Rashford and Romelu Lukaku, while Alexis Sanchez makes the bench after joining the squad in London following Chile's game in Mexico on Wednesday. As for the hosts, Maurizio Sarri opts for Morata ahead of Olivier Giroud up top as they look to preserve their unbeaten league record in 2018-19. France international Giroud is surprisingly joined on the bench by Ross Barkley, who was expected to miss the game after picking up a minor injury while on duty with England.